Dr. Bergström grew up in a small agricultural and logging village in northern Sweden and as a young teenager immigrated to Oregon where he ultimately became a physician and surgeon. He wanted to start a business that would become a legacy for his children and pay tribute to his Swedish agricultural upbringing. After moving the family to Dundee from Portland where he practiced, he planted the Bergström Vineyard on a 13-acre, south facing slope. 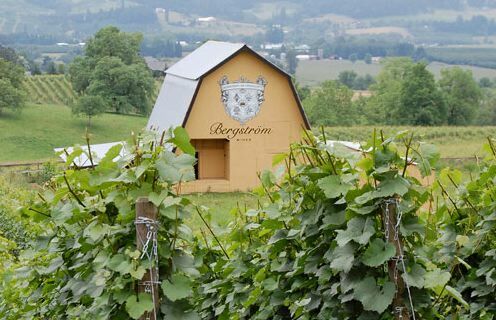 In 1999, Dr. Bergström’s son, Josh, returned to Oregon after a postgraduate program in viticulture and enology in Burgundy and founded the Bergström label with his father. In 2001, Kendall Bergström and her husband Paul de Lancellotti joined the business. A new winery was built at the top of Calkins Lane in the Chehalem Mountains and the de Lancellotti Estate Vineyard was planted. Bergström Wines now farms five estate vineyards totaling 84 acres, all of which are biodynamically farmed (Bergstöm, de Lancellotti, Le Pré Du Col, Winery Block and Gregory Ranch). Pinot Noir is also sourced from Shea and Temperance Hill vineyards. Production is 9,000 cases annually of Pinot Noir (nine bottlings) and Chardonnay. Josh Bergström is currently general manager, winemaker and vineyard manager, and his wife Caroline manages the sales team. Visit the website at www.bergstromwines.com. Dr. Campbell told me that he and his spouse Pat became interested in wine while he was at Stanford University and on weekends they visited tasting rooms nearby and in the Santa Cruz Mountains. After medical school, he practiced for two years on a Sioux Indian Reservation in South Dakota. In 1971, they visited Oregon. Pat had grown up on orchards in the Hood River so she was familiar with farm life. He started working in internal medicine in Portland and emergency medicine on the Oregon Coast, earning enough to buy property in the Willamette Valley. 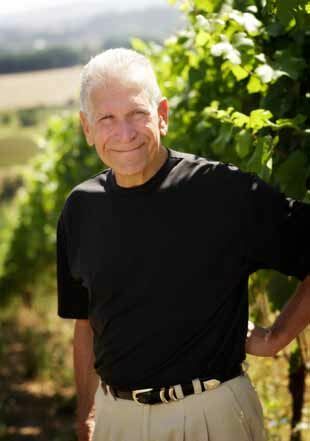 He founded Elk Cove Vineyards in 1974 in Gaston (Yamhill-Carlton AVA) which today is one of Oregon’s oldest wine producers. 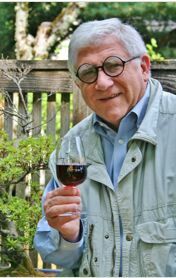 He planted his first ten acres of Coury selection Pinot Noir and Chardonnay (later grafted over to Pinot Gris), began making wine in an old barn, and released his first wine in 1977. This was the first commercial wine produced in the Yamhill-Carlton District. Single vineyard Pinot Noir has been offered since 1979. A new winery was built on the property in 1981 and vineyard properties were gradually added over the years. Today, the winery farms over 220 acres of vineyards on four separate sites in the Willamette Valley (Estate, Windhill, Mount Richmond and Five Mountain). Another 150 acres of vines are scheduled to be planted over the next several years. Dr. Campbell made wine for over twenty years while still practicing medicine. He has five offspring, with Adam Godlee Campbell now the winemaker and his youngest daughter managing the winery photography and website. He recalls that in the early years of the winery his two oldest sons worked in the vineyards when they were ten years old, something that wouldn’t be allowed today. Dr. Campbell made wine with his son Adam in 1997 and 1998, and in 1999 Adam took over the winemaking duties. He still works at age 73 years as a family practitioner in Portland (Pearl Health Center) and in emergency medicine on the Oregon Coast. He has volunteered with Medical Teams International following disasters in New Orleans, Sri Lanka and Sol Sudan and supports a small medical clinic in Arequipa, Peru. 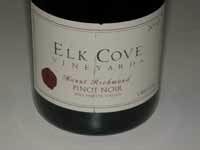 Elk Cove Vineyards was the fifteenth largest producer in Oregon in 2011 (43,800 cases) and was the Northwest Palate Magazine 2007 Northwest Winery of the Year. The winery focuses on Pinot Noir, Pinot Gris and Pinot Blanc. Visit the website at www.elkcove.com. 13.5% alc., $48. Vineyard was planted in 1996 with cuttings from Roosevelt Vineyard. Willakenzie soils. · Moderately dark reddish-purple color in the glass. Great nose! Lovely aromas of black cherry fill the glass like fresh cherries just off the tree. Aromas of spice and candied cinnamon apple add interest. A cherry bombast on the palate that is flat out delicious. A sensational wine that is moderately rich but strikingly flavorful and composed in a seamless fashion with modest fine-grain tannins and complimentary oak in the background. Plenty of Pinot singing in this great wine. Born in Havana, Cuba in the 1950s, Dr. Collada came to the United States with his family in 1962, a few years after Fidel Castro’s communist revolution. He developed an interest in wine while attending college and began making wine at home from mangoes and bananas. His passion for wine continued through medical school. 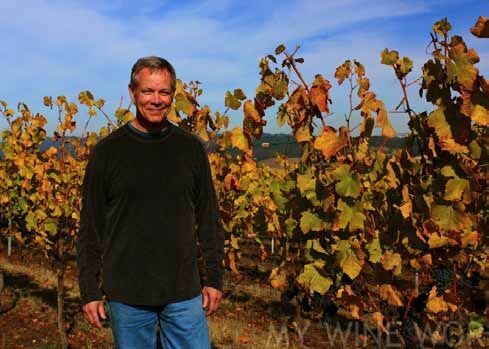 He moved to Salem, Oregon, in 1983 to begin his neurosurgical practice, and developed a special interest in Pinot Noir. In 1986, Dr. Collada bought a 21-acre parcel in the Eola-Amity Hills, and five years later planted 8 acres of Pommard Pinot Noir on a southeast facing hillside. In 2001, he planted two more acres of Pinot Noir (115 and 777) and in 2007, two acres of Pinot Gris. Initially, he sold grapes to King Estate, Evesham Wood and Erath and through his dealings with Erath got to know the winemaker at Erath, Rob Stuart, who was a mentor. In 2003, he started holding back 50% of his production to produce his own wines under the Cubanisimo Vineyards label. Cubanisimo means “very Cuban.” When his winery contracts expired in 2005, he began to keep all of his production and constructed a wine tasting facility. Cubanisimo wines are currently produced at Rob Stuart’s winery in McMinnville, with plans to move wine production to the estate in the future. Currently Dr. Collada produces 800 cases of estate Pinot Noir and 1,000 cases of Pinot Noir that blend estate grapes with grapes sourced from other vineyards. Production also includes 150 cases of Rosado de Pinot Noir from estate fruit and a small amount of Pinot Gris. His spouse, Debra, is a nurse who participates in harvest, bottling, manages the tasting room and distribution, and coordinates events. Visit the website at www.cubanisimovineyards.com. 12.8% alc., $21, screwcap. · Light reddish color in the glass. Aromas of red fruits and briar lead to crisp red cherry flavor with oak-driven notes of spice and tar. A very delicate wine with prominent tannins that dominate the demure fruit. A summer sipper that would benefit from ice. Decent. 12.8% alc., $30. · Light reddish-purple color in the glass. Aromas and flavors of cherries, raspberries, savory herbs and spice underpinned with notes of tarry oak. Balanced tannins and lively acidity make for refreshing drinking. Good. Shortly after beginning medical practice, several of Dr. Dragutsky’s medical colleagues who were active in local wine groups invited Dr. Dragutsky to participate in some of their wine events. His first truly memorable wine was a bottle of 1982 Dom Perignon which he tasted at a New Year’s Celebration. Dr. Sloas was a fellow gastroenterologist who Dr. Dragutsky was sharing call with in 1991 when Dr. Sloas had lunch with noted vintner Randy Dunn in Napa. Dunn mentioned that he was going to have 5 extra tons of grapes that year. Dr. Sloas called Dr. Dragutsky immediately and they bought Dunn’s overage of Howell Mountain juice. Dr. Dragutsky was just learning the basics of wine at the time, so he had to make a quick study of both wine and the wine business. Joined by Managing Partner Craig Camp, winemaker Jeff Keene and a group of Memphis-based partners led by Hal Lewis and John Carrier, Cornerstone/Stepping Stone Cellars was founded. Today, the winery produces Cabernet Sauvignon Cabernet Franc, Syrah and Sauvignon Blanc from the Napa Valley under the Stepping Stone and Cornerstone labels. Craig Camp enlisted noted Oregon winemaker Tony Rynders to produce Pinot Noir from the Willamette Valley beginning with the 2008 vintage under the Cornerstone Cellars label and Drs. Sloas and Dragutsky and their investor partners joined in founding the new Oregon winery. 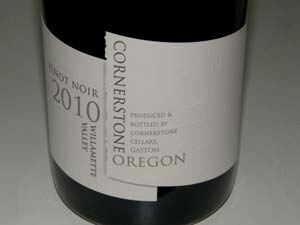 Cornerstone now produces both Pinot Noir and Chardonnay from the Willamette Valley. 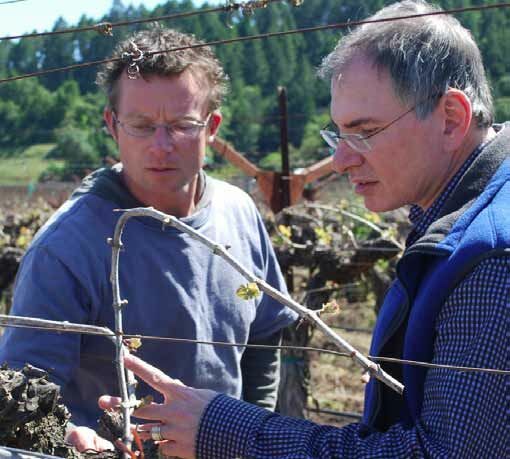 Dr. Dragutsky is pictured below on right with winemaker Jeff Keene. Current production in Napa and Oregon totals over 10,000 cases. Visit the website at www.cornerstonecellars.com. Dr. Dragutsky practices gastroenterology full time in Memphis, TN and is one of the founding members of Gastro One, currently the twelfth largest gastroenterology group in the United States. He is also owner of Phoenix Unequaled Home Entertainment, a nationally recognized residential systems integration company. He spends at least 15 hours a week interacting with Craig Camp and staff in Napa, managing the financials, and promoting Cornerstone Cellars. 13.5% alc., 137 cases, $30. The painting on the label is “Color of Life” by Oregon artist Janet Ekholm. Sourced from all six Willamette Valley sub-AVAs with the majority from Yamhill-Carlton and Eola-Amity Hills. Aged 13 months in 35% new French oak. · Medium reddish-purple color in the glass. Demure aromas of black cherries and toasty oak. Mid weight core of dark cherry fruit becoming more vibrant over time in the glass. Soft in the mouth with mild tannins and some length on the earthy, fruit-driven finish. A straightforward, accessible wine showing a tad more oak than I prefer but otherwise solid. Good. Reviewed November 24, 2012. Dr. Ferry is the only Society of Surgical Oncology-trained physician in Oregon outside of Portland. 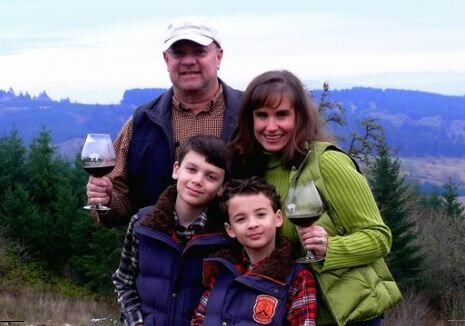 A surgeon at Oregon Medical Group in Eugene, he has received considerable praise for the Pinot Noir he crafts from the 5-acre Abbelone Vineyard located on the southeastern flank of Spencer Butte in Eugene, Lane County, Oregon (south Willamette Valley). He and his spouse Angela first established the vineyard in 2002. The vineyard is named in memory of Dr. Ferry’s mother and is planted to Pommard, 115 and 777 clones. Dr. Ferry is a respected viticulturist and winemaker who actively works in his vineyard throughout the season, performing eighty percent of the work himself. Come October, he crafts his Pinot Noir at Eugene Wine Cellars, perfecting his technique from winemaker Greg Sothras. His first vintage was a 2009 Pinot Noir. In 2011, Dr. Ferry added more acres of Pinot Noir and may include white varieties in the future. The website is currently under construction. Dr. Ferry’s vineyard started out as a “fun diversion,” and a relief from the long hours he spends in hospitals and operating rooms, but he keeps expanding, now slowly equipping the basement of his villa overlooking the vineyard for winemaking. He attributes his interest in winegrowing and winemaking to an expression for his creative energy. Dr. Gross was at the University of Washington doing his residency when he and a group of fellow residents started an amateur winemaking group. They rented some space in Pike Place Market before it was renovated and while it was still economically plausible, and began ‘playing’ around. After residency, some of the members of the group went to Eastern Washington to found a now shuttered winery called French Creek. Dr. Gross was not interested in warm climate varieties and neither was his wife Corrine who grew up in Portland. They went south to Oregon to find a suitable location to plant Pinot Noir, and found a 100-acre horse farm in the Chehalem Mountains for sale where Corrine had grown up riding horses. In 1978, they bought the property and planted vineyards which would become the location for Cooper Mountain Vineyards which was established in 1987. When I asked Dr. Gross “Why wine?”, he answered that he already had the organic chemistry background. “Why the emphasis on organics and biodynamics?”, he said that it was for his health. Dr. 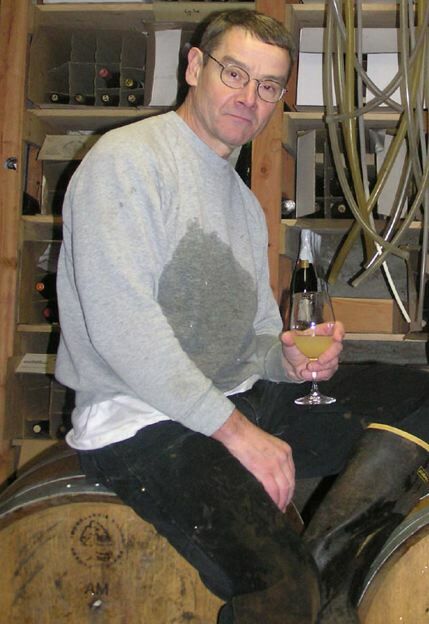 Gross still practices in Portland and continues to oversee the winery operations and production. 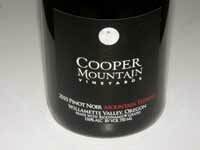 Cooper Mountain Vineyards has been a pioneer among Oregon wineries in practicing organic and biodynamic viticulture. Organic certification by Oregon Tilth came in 1995 and Biodynamic® certification by Demeter® followed in 1999. In 2002, Cooper Mountain Vineyards was the first winery in the United States to gain label approval for a no sulfite added wine and carry the USDA Organic seal. 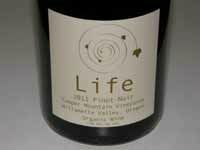 The winery’s sulfite free Pinot Noir has developed a cult following. In addition, there are reserve bottlings and single vineyard options. Pinot Gris, Pinot Blanc and Chardonnay are also offered. The winemaker is Gilles De Domingo. Visit the website at www.coopermountainwine.com. 13.5% alc., pH 3.65, TA 0.57, 290 cases, $45. Biodynamic® by Demeter®. · Moderately light reddish-purple color in the glass. Very shy nose with delicate aromas of blackberry jam. Mid weight flavors of plum reduction sauce and blackberries accented with tempered oak, balanced with firm tannins and finishing with notable power. Very tasty and offers a sensual, velvety mouth feel to boot. Very good. 13.0% alc., $50. Biodynamic® by Demeter®. · Moderately light reddishpurple color in the glass. This wine shows a heavy oak topcoat that is currently burying the luscious and markedly intense dark red fruit core. A middleweight wine with restrained tannins and balancing acidity, that will benefit from more time in bottle to fully integrate the oak. That said, this wine displays a remarkably fleshy fruit profile. Good. 13.0% alc., $35. No sulfite added during winemaking. Certified organic by Oregon Tilth. Biodynamic® by Demeter®. · Moderately light reddish-purple color in the glass. Very fruity, upfront nose offering aromas of strawberry, cherry, red fruit punch and sandalwood. A Beaujolais styled wine, with pleasant flavors of red fruits including red plum and a subtle hint of savory herbs. Mild, but evident tannins, with a bright finish. Crafted for early drinking and an excellent wine for the table. Good. 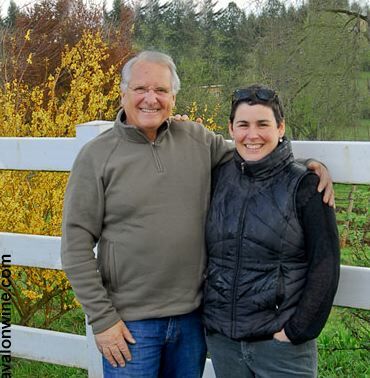 Dr. Haussman, a native of New York, and his spouse Deborah, who was raised in the Northwest, established Quailhurst Vineyard Estate in 1997 in Sherwood, Oregon. The 35-acre estate was built in the 1930s and was renowned for its Japanese gardens and many varieties of roses. They renovated the property to grow wine grapes and to breed and train competition dressage horses. 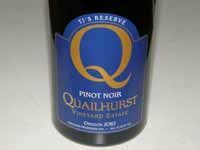 The first Dijon clone Pinot Noir vines were planted in 1998 and the first Pinot Noir bottled from the 2001 vintage under the Quailhurst Vineyard Estate label. The vineyard produces about 15 tons of Pinot Noir grapes per year from which several estate Pinot Noirs and Pinot Noir ports are released. The website is www.quailhurst.com. Dr. Haussman has over thirty years of experience in drug development and clinical care experience at various pharmaceutical companies including working with Bristol-Myers International, Mead-Johnson Pharmaceutical Co., and E.R. Squibb. He was the President and CEO of OXIS International until 2008 and Chairman of the Board of Axonyx from 1997 until its merger with Torrey Pines Therapeutics in 2006. This company has patent rights to two main classes of therapeutic compounds designed for the treatment of age related and disease related dementias, in particular Alzheimer’s disease. Dr. Haussman cofounded Medco Research Inc., a pharmaceutical biotechnology company. He has served in executive positions most recently for Entia Biosciences, Inc., Genesis Biopharma, and Total Nutraceutical Solutions. He has focused on formulating and marketing products composed primarily of organic natural mushroom compounds that contain bioactive nutrients for potential health benefits. 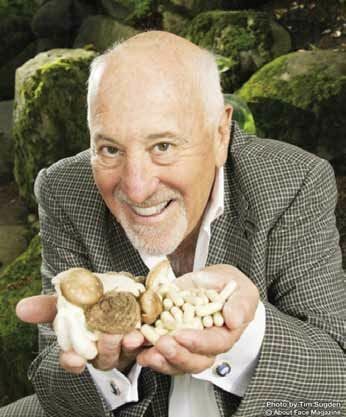 His special interest in mushrooms has developed because it is believed that when metabolized with food, they provide many nutrients that are invaluable for the human immune system and for normal cellular function. 13.2% alc., $60. · Moderately light reddish-purple color in the glass. Shy aromas of red fruit, oak and walnuts. Mid weight flavors of red fruits including sweet cherries and cranberries with complimentary oak in background. A feminine style with supple tannins, a good cut of acidity, and impressive cherry fruit on the finish. This wine grows on you the more time you spend with it. Very good. 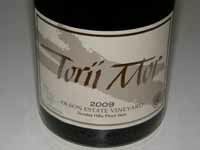 Dr. Olson founded Torii Mor Winery in the Dundee Hills of Oregon in 1993 as a tribute to his late son, Leif. Olson had been a lover of French Burgundy while a Clinical Professor of Neurosurgery at the Oregon Health Sciences University in Portland. The winery was initially a small project intended to showcase fruit from his vineyard that was planted in 1972, one of the oldest vineyards in the Willamette Valley. Situated at 800 feet, the vineyard is just under 15 acres and is planted to Pinot Noir. The winery released its first vintage in 1993. The name Torri Mor comes from the Japanese, “Torii,” referring to the beautiful gates often seen at the entrances of gardens, and, “Mor,” is a Scandinavian word meaning earth and chosen as a homage to Olson’s Scandinavian heritage. By joining these two languages, an image of a gate to the earth was created. A LEED certified solar-array gravity flow winery opened on the property in 2007. The estate has a quaint Japanese theme and is unique among Oregon wineries. Burgundian Jacques Tardy became the winemaker in 2004. Dr. Olson continues his involvement in the winery as General Manager and CEO. He is at the winery on a daily basis, and very involved with the day-to-day activities of the winery. Current production is 15,000 cases, predominantly Pinot Noir, both appellation-designated and vineyard-designated. The Olson Estate Vineyard is the cornerstone of production, but fruit is sourced from other AVAs and the Umpqua Valley and Rogue Valley. Visit the website at www.toriimorwinery.com. In 2011, after a break from neurosurgery for ten years, Dr. Olson volunteered with Medical Teams International to perform battlefield surgery on freedom fighters in Libya. 13.9% alc., 350 cases, $60. Pommard, Coury and 667 clones. Yields <2 tons per acre. Aged in 10% new, 18% 1 and 2-year-old, and the rest neutral French oak barrels. · Moderately light reddish-purple color in the glass. Aromas arrive over time in the glass, showing scents of black cherries, black plum, and a hint of oak. Medium weight flavors of black cherries, dark red berries, black tea, anise and oak backed by some drying tannins and lively acidity. The wine finishes with pleasing aromatic intensity. Very good. 12.9% alc., $24, screwcap. · Light reddish-purple color in the glass. Delicate red fruit aromas with prominent smoky oak. Austere with flavors of tart red cherries, spice and a green note in the background. Very mild tannins and brisk acidity. The fruit appears under ripe and oak shows up with unwelcome dominance. Decent. 13.6% alc., 650 cases, $38. Deux Verres means “Two Glasses” in French. Sourced from six vineyards in the Dundee Hills and Chehalem Mountains. Aged 15 months in 20% new, 41% 1 and 2-year-old, and 33% neutral French oak barrels. · Moderately light reddish-purple color in the glass. Dark red fruits are featured on the nose and palate. Relatively modest in weight, but flavorful, featuring red cherry and cranberry tastes. Juicy, with mild tannins and a good cut of citrusy acidity. Good. Dr. Revana grew up in rural India near Bangalore where his family had been farming for generations. This farming heritage led to his instinct for winegrowing. He was first introduced to wine by friends and became fascinated with Bordeaux’s first growths while practicing cardiology in Houston, Texas. He traveled to the wine regions of Europe and the United States and became determined to establish a world class vineyard estate. In 1997, on a visit to the Napa Valley, he found a small parcel of prime vineyard land in St. Helena. 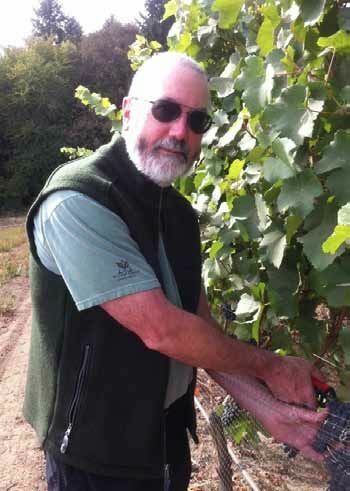 In 1998, he hired vineyard manager Jim Barbour to plant and maintain the 9-acre vineyard. 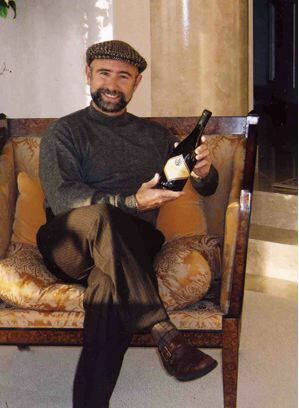 He started Revana Family Vineyard, and released the first vintage in 2001. Noted winemaker Heidi Barrett was the initial winemaker and today Thomas Brown directs the winemaking at Revana. 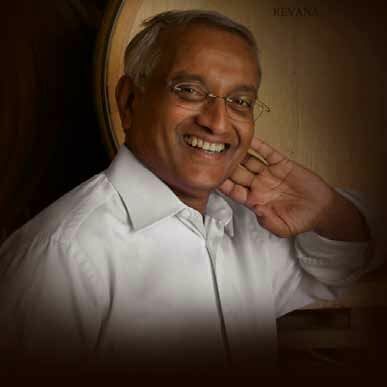 In time Dr. Revana developed a love for great Burgundy wines as well. After enlisting the assistance of winemaker Lynn Penner-Ash (Rex Hill from 1988 to 2002 and now Penner-Ash Wines), he acquired 80 acres in the Dundee Hills in 2005 and started Alexana Winery, named after his daughter, Alexandra Revana. 16 acres of Pinot Noir and Pinot Gris had already been established and an additional 39 acres of Pinot Noir, Riesling and Chardonnay was added. Today, the vineyard, which has an unusually complex diversity of soils and exposures, has grown to over 55 acres. Lynn Penner-Ash became the winemaker for the new winery and is currently assisted by associate winemaker Brian Weil. 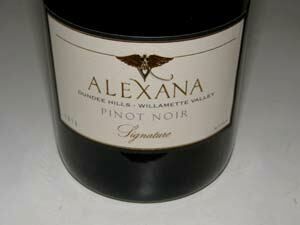 The first two Alexana estate wines, a Pinot Noir and Pinot Gris, and a Pinot Noir from Shea Vineyard, were released from the 2006 vintage. Production is now 5,000 cases annually. A tasting room in a LEED certified Gold three-story house is located on NE Worden Hill Road in Newberg. Visit the website at www.alexanawinery.com. Dr. VanVolkinburg is a practicing internist in Salem, Oregon, who developed an interest in wine while serving in the United States Air Force in the Mosel Valley in Germany from 1971 to 1974. He spent many hours working in vineyards and cellars. When he finished residency in 1977, he and his spouse Pam looked for a town that needed an internist and had suitable land for growing wine grapes. In 1977, he bought 18 acres south of Salem and planted 1 acre of mostly Riesling since that was the only grape he knew much about. More acreage has been added over time, and as one of the first families to plant a vineyard in the Willamette Valley, the Vitae Springs Vineyard has some of the oldest vines in the region. Today, Dr. VanVolkinburg’s son Joel manages the 31 acres of vineyards (25 acres Pinot Noir, 5 acres Pinot Gris, 2.5 acres Riesling and a small amount of Grüner Veltliner) and most of the winemaking chores (Joe Dobbes, Jr., has been a winemaking consultant). Soils are both Jory and Nekia, and clones of Pinot Noir include 667, 777, 115 and Pommard. Small lots of Pinot Noir, Riesling, Grüner Veltliner and Pinot Noir are produced under the Vitae Springs Vineyard label and some vineyard production is sourced by premium wine producers in the Willamette Valley such as St. Innocent. The 2011 Grüner Veltliner is the nation’s first and oldest (30 years) estate grown and produced bottling of Grüner Veltliner. The family’s two car garage doubles as a tasting room. Fewer than 1,000 cases of wine are produced each year. Visit the website at www.vitaesprings.com. 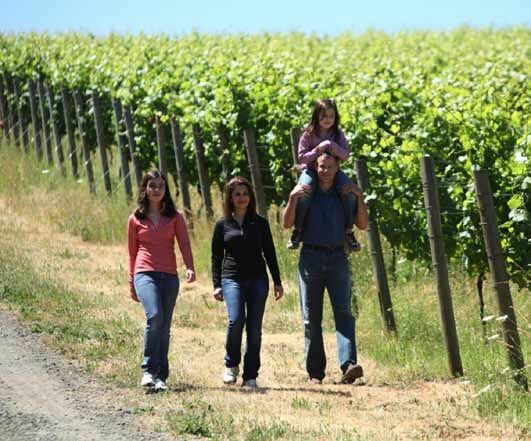 Dr. Wahle and his parents established a 10-acre vineyard in Yamhill, Oregon, in 1974. This is now considered a “parent” vineyard along with Elk Cove Estate of the Yamhill-Carlton AVA. This became his school agricultural project and required considerable after school and weekend work to establish and maintain the vineyard. Most of the planting material was from the nursery of Charles Coury and included a large planting of the Coury “clone.” When Dr. Wahle attended viticulture meetings with local grape growers, there was no viticulture and enology program available in Oregon for university level study. Dr. Wahle considered programs at Cornell, Geisenheim and Stellenboch, but ultimately found the University of California at Davis program the best fit. He attended the Viticulture and Enology program (Fermentation Science) as a Regents Scholar. At Davis, the professors suggested caution in Oregon winegrowing attempts, yet they provided an education that prepared him for winemaking in any region of the world. Dr. Wahle gained practical winemaking experience at Chateau St. Jean in California, Chateau Benoit in Oregon and in an exchange program in the Rheinhessen region of Germany. Upon returning to Oregon he discovered that his family transition plan had stalled and this was a life-changing event for him. Unsure of what to do next, he took a break and backpacked with a friend throughout Central America. Experiences on this trip supported an interest in medicine. Growing up in a small farm town in Oregon, he did not have exposure to a medical career path. While attending Davis, many classmates were “pre-med,” and they had encouraged him to take this path. He had essentially completed the “pre-med” curriculum with his earlier fermentation studies and needed only to add a zoology course. Dr. Wahle chose to return to Davis for the medicine program. His Fermentation Science advisor was dismayed that he gave up winemaking, but he reassured her that he ultimately planned to be involved in both careers. He is now a practicing emergency medicine physician in Portland part of the week, and works at his vineyards and winery for the rest of the week. A second vineyard has been established in the Eola-Amity Hills AVA known as Holmes Hill Vineyard. 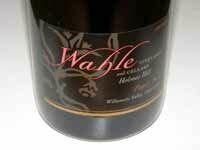 Current production at Wahle Vineyards is 1000+ cases of estate Pinot Noir at Carlton Winemakers Studio while a new winery is completed at the Holmes Hill Vineyard site. This includes production for James Moises, M.D., an emergency medicine colleague in New Orleans. Dr. Moises makes several visits a year to Oregon wine country to participate in grape growing and winemaking. Dr. Wahle also produces wine for Drs. Nicholas and Haydee Bazab, neuroscientists who also live in New Orleans. He has collaborated with them on studies related to the antioxidant properties of Pinot Noir. Wahle Vineyards & Cellars website is www.wvcellars.com. 13.4% alc., $42. Sourced from the original estate vineyard planting of 1974, one of the oldest vineyards in the Willamette Valley. Willakenzie soils. · Moderately light reddish-purple color in the glass. Aromas of black fruit, pipe tobacco, bark, dark rose petals and a pharmaceutical note. Juicy and smooth on the palate with mid weight flavors of blackberries and black currant backed by sinewy tannins and bright acidity. Good. 13.6% alc., $33. Vineyard is named after H.N.V. Holmes who set out from Missouri in search of his land claim in 1848. · Moderately dark reddish-purple color in the glass. Tight initially, opening gradually to reveal aromas of dark berry fruit and subtle oak. Discreetly concentrated flavors of dark berries and plum with hints of graham, chocolate and savory oak. Svelte tannins and balanced acidity. A thoroughly pleasing wine that is nicely balanced. Very good. 14.5% alc., $30. Composed of grapes from the older Wahle Estate Yamhill Vineyard and the younger Holmes Hill Vineyard. · Light reddish-purple color in the glass. Aromas of dark red cherries and mocha. A solid wine with pleasing flavors of ripe cherries, spice and herbs, offering very supple tannins, and a juicy, fruity finish. Good. 14.5% alc., $45. · Light reddish-purple color in the glass. Complex array of scents including black cherry, blackberry, smoky oak and cut grass. Deep, dark cherry and raspberry flavor with impressive intensity and lingering finishing power. The oak is well integrated, the tannins are nicely balanced, and although a big wine, it carries its weight beautifully. Very good. 13.9% alc., $36. · Light in color with a reddish tone in the glass. The nose offers a sophisticated array of aromas including dark red and black berries, dried herbs including sage, and old book. Very soft in the mouth with vivid flavors of dark red cherries and savory herbs, finishing with some persistence. A nicely balanced wine that aims to please with its easy, approachable charm. Very good. Dr. Zelko comes from a family of doctors. His father was an ophthalmologist and his brother still is. He told me he could remember sitting at the kitchen table with a microscope putting Tennant Mark VIII intraocular lenses in pig’s eyes. His father was always disappointed that he didn’t follow his career path, but at least his brother did. Dr. Zelko moved to Oregon from Denver after he finished training in 1983. What drew him there was Ken Kasey’s Sometimes a Great Notion, perhaps the greatest Oregon book ever written. He quickly met Rachel Starr who owned Great Wine Buys and became enamored of the local wines. He participated in wine tasting courses and brewed beer because at the time there were no microbrews, no one sold quality grapes to amateurs, and F.H. Steinbart Co. Homebrew Supply Shop was close by in Portland. When Rachel and friends started Starr Winery, he and his wife became night time and weekend cellar rats. Eventually they bought a ton or two of Pinot Noir from lesser known vineyards and made their first wine in Linton. This went on from 1992 to 1999 when Starr Winery moved to Newberg. The Zelkos bought 40 acres in the Eola-Amity Hills from a radiologist who thought he could use his 401K money to plant a vineyard. When he was unsuccessful, they took the property in 1995 and started planting it in 1996. The Zelkos preferred the wines from what is now the Eola-Amity Hills AVA because they liked “the gutsy, earthy backbone and black fruit flavors.” The site is situated at 150 to 400 feet with soils ranging from Yamhill to Woodburn. Dr. Zelko was intrigued with the Dijon clones and thought that a blend of multiple clones would yield a more complex and age worthy wine distinctly different from the wines based solelyon Pommard and Wädenswil clones so prevalent in Oregon. He thought that a mixture of earlier ripening clones in a slightly warmer site would favor more years with adequate ripeness and that is what happened. 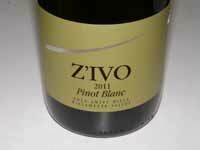 The Z’IVO wines are big and bold, the use of native yeast fermentation has resulted in the complexity he preferred and the wines are maturing well. Dr. Zelko has also made white varietals with purchased grapes and recently planted the “Gouges” clone of Pinot Blanc that Gary Andrus brought to Archery Summit when he made Viriton. 2011 was the first vintage. 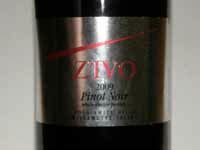 Z’IVO Pinot Noir is produced entirely from the estate vineyard. Several aromatic white wines are also offered. The wines are handcrafted at Walnut City Wine Works in McMinnville, a small consortium of winemakers who grow their own grapes. The first vintage was 2000. Visit the website at www.zivowines.com. 14.0% alc., 1,800 cases, $36. Estate vineyard fruit, clones 114, 115, 667, 777 and Pommard. 12 day cold soak, cultured yeasts, 20% whole cluster. Aged in 33% new French oak. · Moderately light reddish-purple color in the glass. Marked sulfur related reduction upon opening which had largely blown off by the following day from an opened bottle. The core of black cherry fruit is juicy and fresh, complimented by a note of wood spice, caressed by supple tannins, and backed by good acidity. Decent. 14.0% alc., 1,000 cases, $40. All five estate vineyard clones. Ambient yeast fermentation after 1 week cold soak. 20% whole cluster. Aged in 33% new French oak. · Moderate reddish-purple color in the glass. Appealing aromatic profile featuring scents of dark red cherries and berries including ripe strawberries, and spice. Middleweight, slightly confected black cherry core with a hint of brown spices and a subtle riff of salty minerality and oak in the background. Nicely balanced with bright acidity. Good (+). 13.7% alc., 160 cases, $40. From all five estate vineyard clones. Large harvest of 3 tons per acre. 100% whole cluster, barefoot punch downs, ambient yeast fermentation. Aged in 33% new French oak. · Moderately dark reddish-purple color in the glass. Appealing aromas of dark stone and berry fruits, nicely spiced and offering a hint of rose petals. Mid weight, sweet plum and blackberry flavors with firm tannins and a long, long finish. The fruit is striking in intensity and brilliance. Drinkable now, but will benefit from more time in bottle, and should readily age in the cellar. Very good. 13.4% alc., $N/A. · Light reddish-purple color in the glass. Reduction upon opening which resolves over time. Curiously light in weight for this warm vintage, but not overripe as wines from this vintage in Oregon are prone to be. Flavors of red cherries with complimentary oak in the background, mild tannins, and finishing with a good cut of citrus-driven acidity and notable persistence. Even better the following day from a previously opened and re-corked bottle. Good. 13.4% alc., 138 cases, $40. Clones are 115, Pommard, 114, 667 and 777. 100% whole cluster. Punch downs with bare feet twice a day for seven days. Wild yeast fermentation. Aged 10 months in 25% new, 35% once filled and the remainder neutral French oak barrels. · Moderate reddish-purple color in the glass. This is a wine that attracts your full attention the minute the cork is pulled and all that wonderful Pinot goodness jumps from the glass. I could not get enough of this nose redolent of black cherries, spice and rose petals. On the palate, there is a delicious essence of dark cherries with a spicy touch that really pops. Very silky and charming, with a healthy backbone of fine-grain tannins. A complete and harmonious wine. When whole cluster is right, it produces the most ethereal expression of Pinot Noir in the world. Should get even better with cellaring. 12.0% alc., 220 cases, $N/A. Inaugural vintage for this wine. The fruit is a rare spontaneous mutation of Pinot Noir known as the Gouges clone. Vinified in 50% neutral oak and 50% stainless steel. · Very light straw color and clear in the glass. Intriguing aromas of applesauce, apple core, sap and a subtle floral note. Light in weight with bracing lemon-lime acidity, offering flavors of green apples and honey in a crisp, dry French style. Needs food, and I would chill the wine and serve with shellfish, particularly oysters. Good. Dr. Ackerman graduated from Vanderbilt University School of Medicine in 1988, did his residency in urology at the Oregon Health and Science University and now practices in Clackamas, Oregon. Along with spouse Michelle, he bought and planted in 2007 16 acres of vineyard on the site of a former horse farm in the Ribbon Ridge AVA of the Willamette Valley. The vineyard is just below Ayres and Brick House on Lewis Rogers Lane. Clones are Pommard, Wädenswil, 114, 115, 667 and 777. 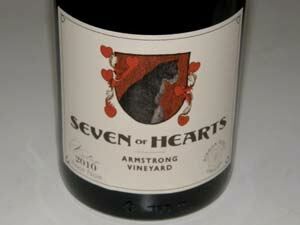 Grapes were sold beginning with the inaugural 2010 vintage to Ayres, Seven of Hearts Winery and Vincent Wine Company. Dr. Bagdade is a graduate of Cornell University Medical School and board certified in internal medicine, endocrinology and metabolism. 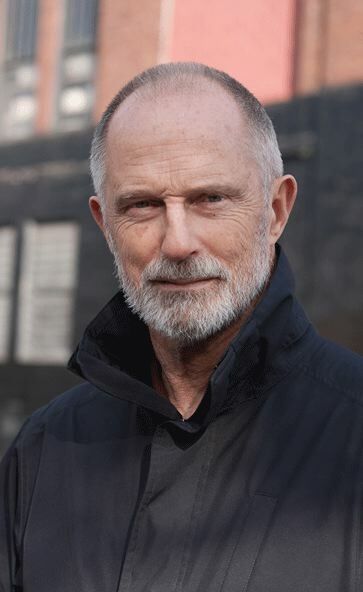 He formed Pike & Western Wine Merchants at Pike Place Market in Seattle in 1975. He soon wanted to produce world class sparkling wines and by the 1990s had founded Domaine Meriwether. Dr. Bagdade recruited French winemaker Jean-Louis Denois who hailed from Cumieres, just north of Epernay in Champagne. Their first harvest together was 1998. In 2005, Dr. Bagdade returned to his medical calling and Ed Buzz Kawders step in to guide the winery and he enlisted winemaker Raymond Welsh to continue the vision of the winery. Today, the winery produces sparkling wines and still wines including Pinot Noir. The winery is located in Veneta, Oregon, outside of Eugene. The website is www.meriwtherwines.com. Dr. Koo is a graduate of the medical school at Duke University, a pathologist and neurologist, who is currently a professor at University of California at San Diego School of Medicine who conducts research in the cellular and molecular biology of Alzheimer's Disease and neurodegeneration. He is a popular teacher and renowned researcher with over 125 publications to his credit. Edward and Lin Shen Koo established Temperance Hill Vineyard in 1980 and 1981. It is 100 acres made up of about 20 different blocks on a 200-acre site in the west Eola Hills, just west of Salem, Oregon. 80% of the vineyard is planted to Pinot Noir with lesser amounts of Chardonnay, Gewüztraminer and Pinot Gris. Dai Crisp has managed the vineyard since 1999 in accordance with Oregon Tilth Organic Certification standards. 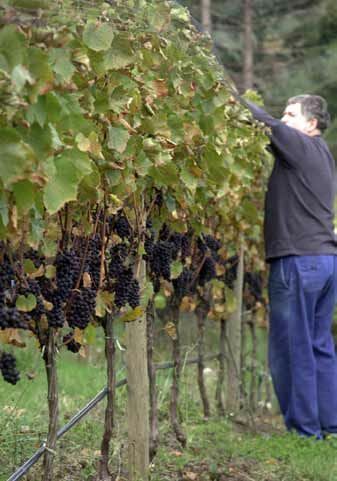 Grapes are sold to twenty clients, including such notable wineries as Adelsheim, Bergström, Chehalem, Elk Cove, Evesham Wood, Lange, Panther Creek and St. Innocent. Noble Pig Winery was founded in 2008 by winemaker Cathy Pollack and her physician spouse, Henry Pollack, M.D.. The couple spent most of their life in Southern California where Henry had a successful obstetrics and gynecoloogy practice until health problems cut his career short. They moved to Davis, California, where Cathy enrolled in the school’s Viticulture and Enology Program. During her schooling, Dr. Pollack was diagnosed with Parkinson’s Disease. The Pollacks found a home in the McMinnville AVA where they bought 88 acres and planted their first 4 acres of Pinot Noir in 2010 (Pommard, 777 and 115). They plan to source grapes initially and gradually increase production to 5,000 cases. The website is www.noblepigwinery.com.